False Reject Rate (FRR): 0.1%; False Accept Rate (FAR) less than 1/100,000. Latent fingerprints will be deleted with newly added fingerprint. Sensing area: 13.6mm x 16.2mm; Resolution of 500dpi. No ID or button pressing necessary for scanning and auto-matching fingerprint. Optional external keypad to set Fingerprint’s stand-alone operation. Networking or stand-alone operation. Maximum of 2,000 records of data when it is stand-alone. Unlimited records of data when it is networking. Detailed information of each card at the time is recorded. Only one Fingerprint is needed for input when several Fingerprints are connecting at the same time and filing is through networking for every unit. 3000 fingerprints capacity. Each user can register 3 separate sets of fingerprints in case of any injured fingers unable to recognize when register. Each fingerprint has to be enrolled twice to enhance its precision rate and the last fingerprint enrolled is set as anti-duress fingerprint. 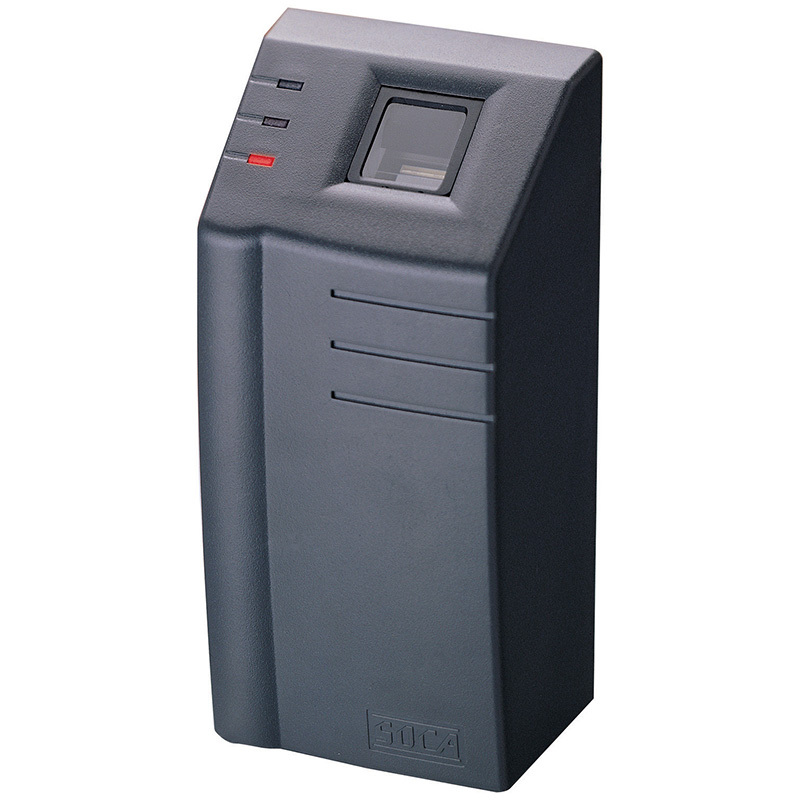 The access control range of the unit includes card numbers, passwords, time frames, holidays, error control, and etc. Use of external keypad for single card proximity entry, single card number entry, or single card deletion and cards are able to issue in advance. User does not need to learn or familiarize with the operation as of the same receiving software use as SF-1000. Built-in interface of RS-232 and RS-485. Optional external connection of TCP/IP to link with the reader for online data transmitting or receiving control. Built-in perpetual calendar provides accurate time and date. Built-in battery is able to store data for a year. 10 sets of time zone. Each time zone has 7 days (Monday to Sunday). Each day has 8 sets of time frame to set. Anti-tamper function to activate alarm when the unit is being tampered with force. Fingerprint sensor glass is made of tampered glass which sustains major scratches (hardness of 7 and above). Door detection point. Set door close delay time (sec) and alarm will be activated when door close delay time exceeds set time. Built-in card reader mode with maximum of 1000 cards storage. Frequency: 125KHz. Maximum proximity distance: 10cm(125KHz),proximity distance might be different depending on the type of card use. Power Supply: DC12V ±10％, Current : Stand-alone 100mA / Operation 150mA.